Was that the episode of Game of Thrones we've been waiting all season long for? 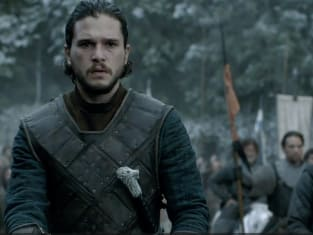 The battle of the bastards finally came on Game of Thrones Season 6 Episode 9 and it left me with a flurry of emotions. We lost Rickon, but that was pretty much guaranteed. 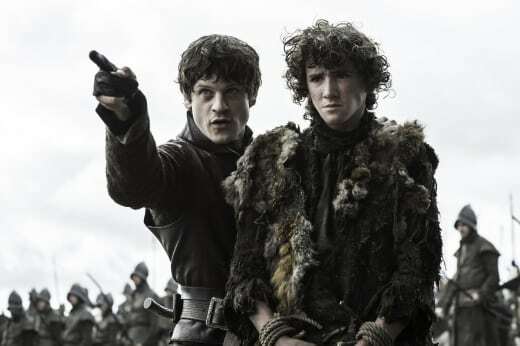 There was no way Ramsey was going to let the youngest Stark make it back to his siblings alive. That said, the whole scene with him running for his life was horrifying, but I struggled to feel anything because it was blatantly obvious how it was going to play out. Ramsey really loves to play his games, but it was thrilling to see his theatrics come back to bite him... quite literally. More on that in a little. There were spoilers literally all over the internet for this episode and I managed to avoid them, save for one about Tormund's demise. That didn't even happen, so it makes me wonder if these "spoilers" are just being made up out of thin air. 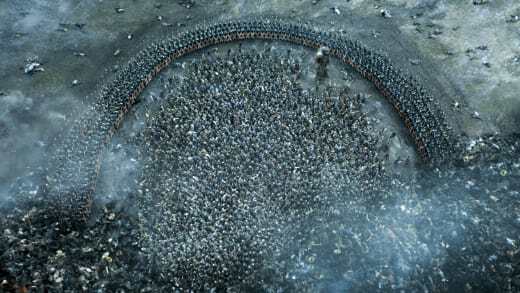 The fight lacked the bite of the battle of Hardhome on Game of Thrones Season 5 Episode 8. I genuinely thought we were in for fighting between the two armies for the whole hour. Instead, we got Sansa making it clear to Jon that Ramsey is capable of literally anything. 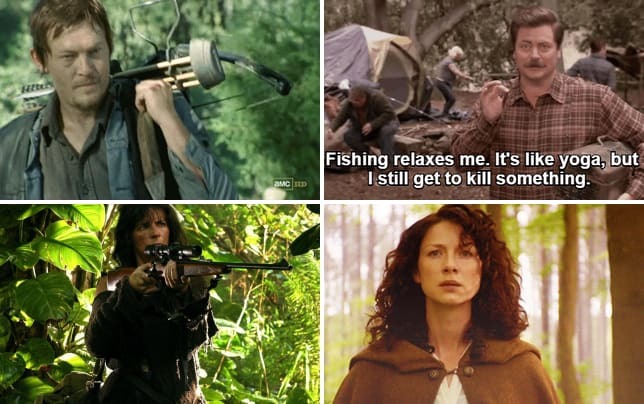 The development for this character is literally astounding. If anyone told me when I was watching Game of Thrones Season 1 that Sophie Turner's character was going to emerge as the best one on the show down the line, I'd have scoffed at the thought of that. Now it's happened and I can't quite believe it. She's went from strength to strength and her storyline is considerably stronger than any others on the show. I feared that Jon Snow's army was literally going to be destroyed and it sure seemed like that was going to happen. I couldn't help but wonder what Davos was playing at when he didn't fire arrows back at the Boltons. It would have at least prevented some of the bloodshed on their side. The arrival of Littlefinger was pretty predictable, but the reaction on Ramsey's face totally made up for it. He obviously didn't expect it to happen and it was fantastic to see him run off back to Winterfell as his army took a beating. I have to give props to Wun Wun. The last of the giants is gone, but at least he died serving a huge purpose. The doors of Winterfell wouldn't have been shattered without him. Jon was obviously filled with rage and wanted to make Ramsey pay, but I cheered when he left him alive. This paved the way for Sansa to get her final revenge on the villain that once seemed invincible. My beloved wife. I have missed you terribly. Thank you for returning Lady Bolton safely. Permalink: My beloved wife. I have missed you terribly. Thank you for returning Lady Bolton safely. Setting his hounds on him was a good idea and it served as a good dose of karma for the wicked man. It may have come a season too late, but Ramsey Bolton is finally gone. I can't be the only one that smiled along with Sansa as she walked away. Seeing the Stark sign showing up at Winterfell was like returning home after years away. It felt so right. Now can Arya just freaking show up already?! Elsewhere in Meereen, Daenerys got some huge scenes to showcase her crazy dragon communicating abilities. Those really could have been the best scenes of the entire series. It's pretty obvious the show saved their budget for this episode. 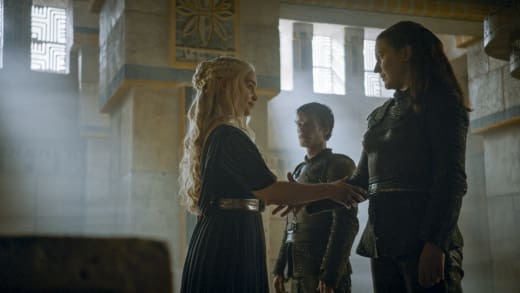 We also got the meeting between Daenerys and the Greyjoys and it looks like they're all going to get on like a house on fire. Both Yara and Daenerys seemed to find common ground pretty quickly. Daenerys really needs to use the boats and Yara wants on the throne. It doesn't conflict with the throne Daenerys wants, so they kind of have common goals. Daenerys throwing demands about some lifestyle changes was a bit rich, but if she's going to be lending herself to the Greyjoys, she will most certainly be the one doing all the talking. The episode really benefited from the lack of King's Landing. There was a time when King's Landing was the highlight of the show, but it's been butchered this season to a point that I don't give a crap about Cersei's trial. The only good thing that could come from King's Landing is someone taking care of Tommen once and for all. He's a horrible leader. "Battle of the Bastards" was a wild installment of this HBO drama. The wheels are in motion for what is sure to be a crazy conclusion to Game of Thrones Season 6. How will it end? Hit the comments below! 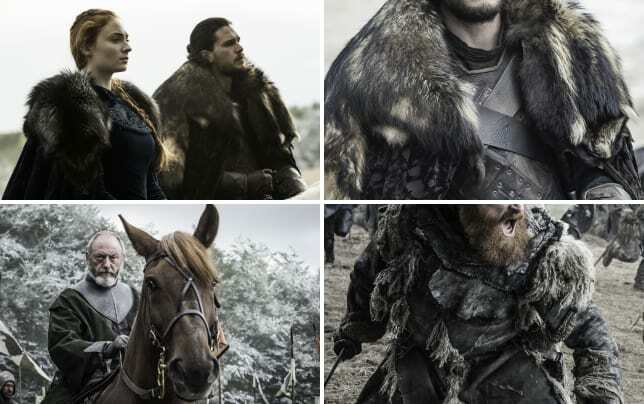 Game of Thrones Review: Who Won The Battle Of The Bastards?! ?